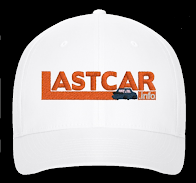 As we prepare for 2018, there are now two new pages of statistics now available here at LASTCAR.info: Last-Place Finishes By Car Number, and Last-Place Finishes By Reason Out. Both have been updated through the completion of the 2017 season with rankings for Cup, XFINITY, Trucks, and all three combined. Both pages will be updated weekly along with the rest of this site’s statistics. In addition, the existing rankings are now formatted without 1st, 2nd, 3rd, etc. in order to make each driver's number of last-place finishes more visible. 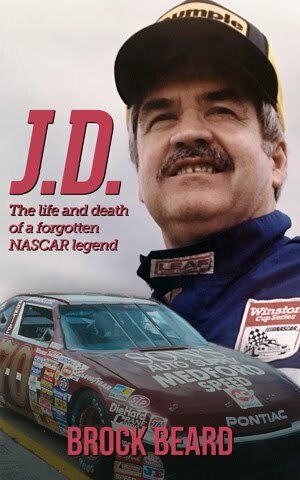 Among the statistics which stand out are that all currently-available numbers (from #0 to #09) have finished last in at least one Cup and XFINITY Series race. However, in the Truck Series, fifteen numbers have yet to finish last, including the former Germain Racing #30 made famous by Todd Bodine and Kyle Busch Motorsports’ #54. Anchoring the chart are fifty currently ineligible numbers, including three-digit numbers and those mixed with letters. Fifty-four more are unknown, primarily from the early years of the Cup and XFINITY Series. On the Cup side, four of car #20’s most recent six last-place finishes have all come in the Daytona 500, and all six have come within the first three races of the season. Among the less common numbers is #29, which hasn’t trailed a Cup Series race since September 1996, when Chad Little scored back-to-back lasts at Richmond and Dover. A big reason for this is that Kevin Harvick never finished last in a single Cup points race he ran for Richard Childress Racing from 2001 through 2013. As of this writing, he hasn’t scored one for Stewart-Haas Racing, either – the longest active streak without a single last-place finish. Jeff Green’s record-breaking last-place streaks are also reflected on the XFINITY Series car number rankings. Five of the top six – #10, #91, #93, #19, and #44 – were numbers Green drove to his six LASTCAR Championships with TriStar Motorsports and RSS Racing. Car #10 has more than double the XFINITY Series last-place finishes of any other number, and the prolific TriStar entry is responsible for more than half of the 121 total last-place finishes for the number in NASCAR history. As of this writing, there have been 124 reasons listed for a NASCAR driver to finish last (125 if you include the “unknown” category). Forty-nine XFINITY Series races show the last-place finisher as out by “dnf,” but the reason the driver failed to finish isn’t recorded. 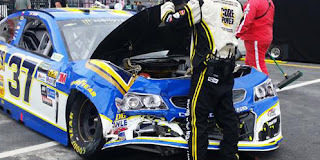 Eighty-nine more times – all of them in Cup – there is no designation at all, meaning that it’s unclear whether or not the driver finished under power. Many of these are again from NASCAR’s earliest seasons, and may have been lost to history. There are some redundant reasons out listed, but I have decided against merging them together. Among these are drivers black-flagged off the track for failing to keep up the pace. The designations older designation “flagged” and newer “too slow” are separate, as well as the broader “parked,” which can also designate a driver black-flagged for reasons other than speed. There are also separate entries for “shocks” vs. “shock” as well as “timing” versus “timing chain,” “gear” versus “rear gear,” “rod” versus “rods,” and so on. Engine failures and crashes are by far the most common reasons for a driver to finish last, though only in Cup do the engine failures outnumber crashes, and by a margin of 115 finishes. The recurrence of “start-and-parks” in NASCAR is also somewhat hidden in these statistics. 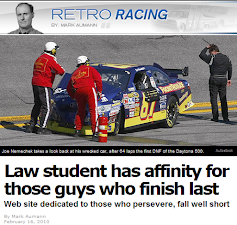 “Quit,” last used in Cup in 1993, ranks just twelfth overall. Others frequently used in its place, including “overheating,” “transmission,” “brakes,” and especially “vibration,” all rank much higher. 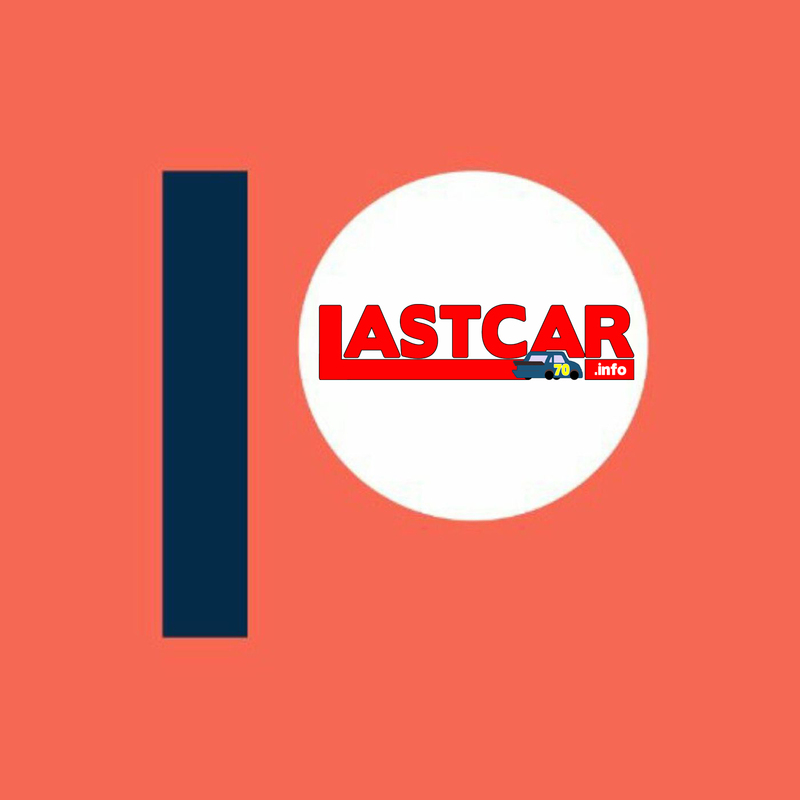 The stories behind some of the rarest reasons out have already been featured in articles on LASTCAR. The single instance of “No tires” belonged to the late Joe Frasson at Bristol in 1976. The appearance of “valve spring” fell to the late Kenny Irwin, Jr., when he drove for Robert Yates Racing at Talladega in 1998. The only one to arise in a regular weekly article was “rear axle,” which occurred during Blake Koch’s early exit from the Truck Series race at Dover in 2014. Koch’s is the most recent reason out to not be duplicated. Merry Christmas, everyone, and stay tuned in 2018 and beyond as we update these statistics all season long.